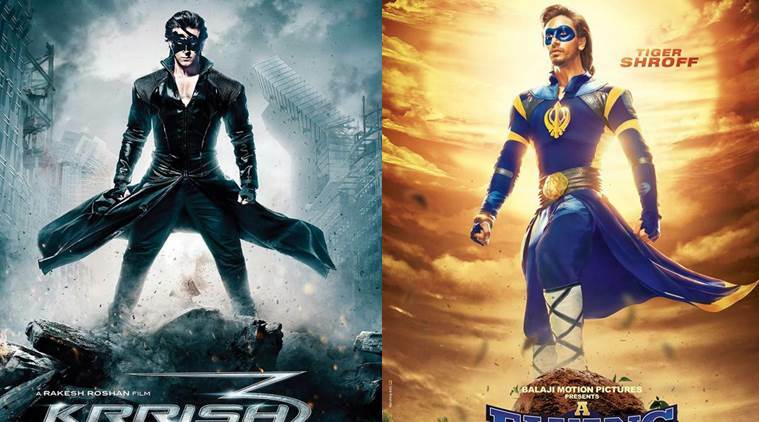 Tiger Shroff says he studied how Hrithik Roshan portrayed the character of Krrish. “As I am essaying a superhero in A Flying Jatt, I hope that I could do justice to the role. Though I don’t even think about competing with Hrithik Roshan and what he did in Krrish, but I will not let down the makers of A Flying Jatt,” said Tiger Shroff. Tiger Shroff says he watched actor Hrithik Roshan’s mannerisms in Krrish in a bid to get into the skin of his character of a superhero in the upcoming film A Flying Jatt. The 26-year-old Baaghi actor will be seen as a caped-crusader in Remo D’ Souza’s A Flying Jatt. Tiger says while he didn’t take any inspiration from superheroes in the West, he studied how Hrithik portrayed the character of Krrish. “I didn’t take any inspiration from anywhere because Remo sir was very clear in his mind. He wanted an original superhero, so I didn’t take any inspiration,though I did watch Krrish many times. “I just wanted to study Hrithik sir’s body language when he is running, or how he stands in the costume,” he said. The actor was speaking at the launch of Beat Pe Booty song from his film here last evening, which also features Jacqueline Fernandez. A masked Tiger Shroff is seen in a completely different avatar in the posters of Flying Jatt, with a blue turban, superhero costume and a golden Khanda (a Sikh religious symbol) on his chest . From the looks of the poster, one can anticipate Shroff flying off to rescue those in distress, but probably only in Punjabi heartland. Produced under the banner of Balaji Motion Pictures, the film also features professional wrestler Nathan Jones in a negative role. A Flying Jatt is scheduled to release on August 25.